Speaking from the annual Values Voter Summit in Washington D.C. Friday morning, President Donald Trump promised a return to traditional values in America and vowed to end assaults on religious liberty. "In America we don't worship government, we worship God," Trump said. “George Washington said that 'religion and morality are indispensable' to America’s happiness, really, prosperity and totally to its success. It is our faith and our values that inspires us to give with charity, to act with courage, and to sacrifice for what we know is right. Our Creator was invoked four times in the Declaration of Independence. How times have changed, but you know what? Now they’re changing back again. Just remember that." “I pledged that in a Trump administration, our nation’s religious heritage would be cherished, protected and defended like you have never seen before. That’s what’s happening and you see it every day,” he continued. President Trump opened his remarks by thanking a number of friends in the room and noted he was keeping his promise by coming back to the conference. He also touted the end to taxpayer funded abortions overseas. "It’s great to be back here with so many friends at the 2017 Values Voter Summit, and we know what that means. We know what that means. America is a nation of believers, and together we are strengthened and sustained by the power of prayer," he said. 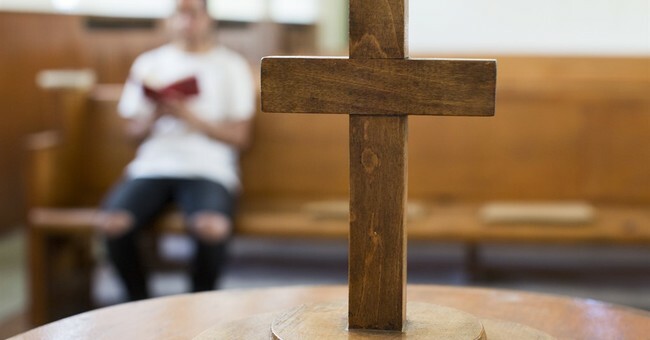 Evangelical voters strongly supported President Trump in the 2016 presidential election on grounds of defending religious liberty and keeping the balance of the Supreme Court. Last week the administration rolled back an Obamacare mandate that forced religious companies to cover the cost of birth control for employees through insurance plans. The action, according to a Republican briefed Thursday on the regulation, will allow a much broader group of employers and insurers to exempt themselves from covering contraceptives such as birth control pills on religious or moral grounds. It represents the latest twist in a seesawing legal and ideological fight that has surrounded this aspect of the 2010 health-care law nearly from the start.